"The first step is to connect over shared concerns." Climate science and Christian fundamentalism might not seem to go together, with a recent poll showing that only 28 percent of white evangelicals believe Earth is warming because of human activity. But Katherine Hayhoe says it's never been a problem for her. 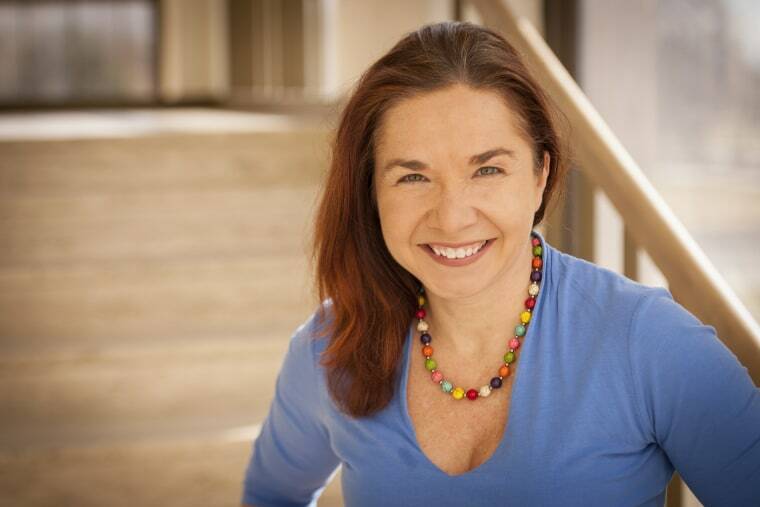 An evangelical Christian and director of Texas Tech University's Climate Science Center in Lubbock, Hayhoe calls science and religion "two sides of the same coin." She's made it her mission to advocate for climate action without alienating people who might be unreceptive to scientific explanations for climate change because of their beliefs. Hayhoe came to prominence in 2016, when she hosted a televised discussion about climate change with President Obama and actor/climate activist Leonardo DiCaprio. More recently, she was profiled in "Let Science Speak," a new six-part documentary that can be viewed on YouTube and on the project's website. To learn more about Hayhoe's views on the intersection of climate science and religion, NBC News MACH spoke with Hayhoe before the documentary's Sept. 20 premiere at the Tribeca TV Festival in New York City. The interview has been edited for clarity and brevity. There's overwhelming agreement among climate scientists that human activity is causing climate change. Why are many people still skeptical about the link? We've known since the 1850s that fossil fuel use produces heat-trapping gases, and higher levels of heat-trapping gases in the atmosphere lead to higher temperatures. We've known since the 1930s that the world was actually warming according to thermometer data. And it's been over 50 years since scientists in the U.S. were sufficiency convinced — not just of the reality, but of the severity of this problem — to formally warn President Lyndon Johnson. If the science is so old — and the understanding that it is real, it is us, and it is serious has been clear for decades — then why are we in the situation we're in today? The idea that maybe the planet isn't warming, or maybe humans aren't responsible, or maybe the impacts aren't bad, has been fostered by the industries and organizations that have everything to lose from climate solutions and everything to gain from maintaining the status quo. What can scientists do to better persuade the public that anthropogenic climate change is real? As scientists, when we feel that we don't completely understand something, our solution is more information. When we communicate with people, we operate under that same “knowledge deficit model.” In other words, if people don't have the right opinion or the right understanding of climate change, then they need more facts. Most people who reject the science of climate change do so not because they have a problem with basic physics. It's because the impacts — how climate change is going to affect us — seem far off, as if they'll affect future generations but not us. But the solutions do seem to pose an imminent risk to us, because we are being told that the solutions involve destroying the economy, robbing people of their personal liberties, letting the government control people's personal choices. From that perspective, what normal person would want to consider this to be a real problem, if we felt like the solutions were so punitive, and the benefits were so small? Of course, the reality is exactly the opposite. The impacts are here today, affecting every single one of us. What do you do to engage those people who believe climate change is something that only future generations will have to worry about? The first step is to connect over shared values or shared concerns. Whenever I talk to a person or an organization, my first step is to get to know them and figure out what makes them tick. Are they water managers concerned about the future of water in Texas? Are they community members concerned about having a healthy, vibrant city with a booming economy that can support their families? I start with the shared values that we have. When I speak in other places, I look at real data from that state or city and say, "You live here, and here is how your temperatures have changed. Your heavy rainfall is getting more frequent, your summer heat is getting more extreme." I then start talking about the future. I say, "The reason I am so concerned about a changing climate is because they affect us in ways that we're already seeing today." Imagine if the summer of 2011, which set a record for number of days over 100 degrees, were the average summer within a couple of decades. How would we cope with that? Then you start to see the penny drop. We really couldn't cope with that long-term. So how are we going to ensure that we are resilient, that we are strong, that we are prepared? If you can show people that climate solutions are consistent with who they are, then all of a sudden people realize, "I don't need a whole other set of values to care about climate change." That's when you know you've succeeded — when people take ownership of it for themselves. It’s easy to shy away from tough conversations, but you’ve taken the opposite approach. What drove you to take on the role of science communicator? The whole reason why I study climate change, when my undergraduate degree from [the University of Toronto] was in astrophysics, is because of a class I took when I was about to graduate that made me realize that climate change was, at its core, a humanitarian issue. It exacerbates poverty and hunger and disease, and even political strife and civil conflict. I felt that this is a way I could actually work to help people. If you're a physician who's diagnosed something that affects the entire human race, you feel a moral responsibility to tell people about that. Were your religious beliefs always intertwined in all of this, or did you have a moment of reckoning? A key turning point for me was probably six or eight months after I'd started to talk to different groups. I got invited to speak to a church group. By then I had figured out that most people thought I was the stereotypical, liberal, tree-hugging atheist scientist. They viewed me as different from them. That was the first time I realized I had do something that was just opposite to what scientists do, which was rather than just talking from my head about data and facts — if I was going to genuinely connect with people, I needed to share from my heart, because the reason why I cared about climate change was the exact reason why I thought everybody at Second Baptist should care about climate change. We believe as Christians that we have stewardship over this planet. We believe we are to care for people who are poor and disadvantaged and suffering, and climate change is affecting those very people today. Going there and sharing that with them, it was like a window opened — both for them and for me — connecting the dots between what is already in our hearts and the changing climate. You've spoken about how your husband once had doubts about climate change. How did he from that to co-authoring a book with you about climate change? It was kind of a natural progression. When I met my husband in a Christian graduate student group, he was doing his Ph.D. in applied linguistics. We had been married about six months before we figured out we were not on the same page, because he grew up in the conservative Christian community and he had never met somebody who shared his faith who thought that climate change was real. That was a huge eye-opener for both of us. Here was somebody I loved and respected, and I knew that he was a very smart person who understood data and facts and science. He knew that I was sincere in my beliefs and we are very much on the same page theologically. Our conversations happened sporadically over a couple of years and gradually passed beyond “is it warming?” to “is it humans?” to “What can we do that's consistent with his values,” because politically he's conservative. Things like that really helped me understand respecting where people are at — it really doesn't matter how old the Earth is to making smart choices about climate action, right? We need climate solutions now and we're not going to get those solutions if we take the approach some scientists take, which is we have to get everybody on board with all science first and then we can make rational decisions. Do you think religion and science are at odds? I don't think they are at all, and I had the benefit of being raised by a father who was a science teacher and also one of the leaders in our local church. From an early age, I just kind of absorbed the idea that science and faith are two sides of the same coin. If you really believe that God created this amazing universe that we live in, then what is science other than trying to figure out what God was thinking when he set the whole thing up in the first place. The Bible defines faith as the evidence of what we don't see. What is science? It's the evidence of what we do see. Science is like a map that tells us which way is north or south or east or west, but it's not the compass that tells us which way is the right way to go. The hope that keeps me going is the hope I find when I talk to real people, when I hear real stories of what is already happening today. We picture climate change as this giant boulder that has to be rolled up this massive mountain, and it's sitting at the bottom of the mountain, and there's only my hand and maybe five other hands on this boulder, and we have nowhere near the strength we need to get it up this mountain. But when we learn and hear and share with people what we're doing and what they're doing, we realize that boulder is already at the top of the hill and it's just starting to very, very slowly roll down the hill. The change is already happening. There are hundreds of millions of hands on the boulder in every single country across the world. The boulder is rolling in the right direction. It will continue to roll in the right direction. It's a lot more hopeful when you realize that it's in the right direction and we have so many hands already onboard. We just need a few more and a bit more effort because it just has to be going a bit faster.